Capt. 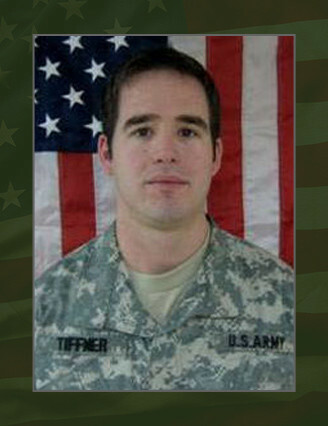 Benjamin Tiffner, 31, was killed in action when his vehicle encountered an IED in the course of conducting a ground convoy in Baghdad. He was a Special Forces Operational Detachment – Alpha team leader assigned to Company C, 1st Battalion, 5th Special Forces Group (Airborne). He deployed in support of Operation Iraqi Freedom as a member of the Combined Joint Special Operations Task Force – Arabian Peninsula. This was his second deployment to Iraq in support of the Global War on Terrorism. Tiffner’s military education includes; Infantry Officers Basic Course; Survival, Evasion, Resistance, and Escape Course; Basic Airborne Course, Ranger Course, and the Special Forces Qualification Course. His awards and decorations include two Army Commendation Medals, Army Achievement Medal, National Defense Service Medal, Global War on Terrorism Expeditionary Medal, Iraq Campaign Medal, Global War on Terrorism Service Medal, Army Service Ribbon, Combat Infantryman Badge, Expert Infantryman Badge, Parachutist Badge, Ranger Tab, and the Special Forces Tab. Tiffner is survived by his parents, Timothy and Judith of Soldotna, Alaska.